Researchers from Russia, the United States, and China projected and experimentally identified new uranium hydrides, predicting superconductivity for a few of them. The research results were reported in Science Advances. In 1911, the occurrence of superconductivity was discovered by a group of researchers led by Dutch physicist Heike Kamerlingh Onnes. Superconductivity can be defined as the total disappearance of electrical resistance in a material when it is cooled down to a particular temperature, causing the magnetic field to be forced out from the material. In the beginning, superconductivity was detected in a few base metals, such as mercury and aluminum, at temperatures of a number of degrees above absolute zero, which is -273 °C. 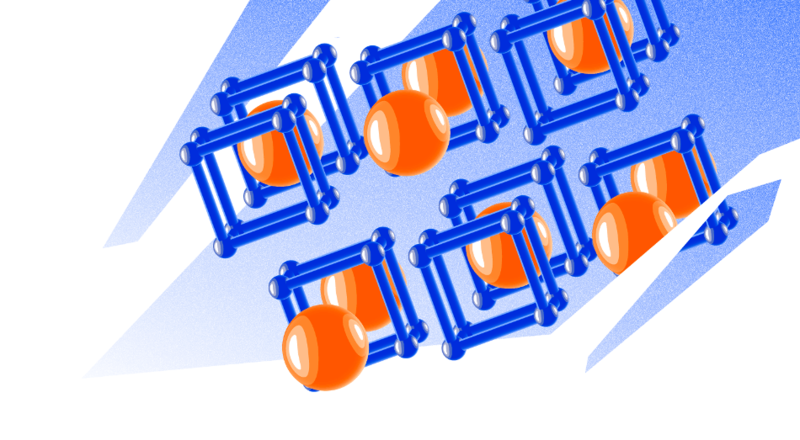 Of specific interest to researchers are the so-called “high-temperature superconductors” that possess superconductivity at less extreme temperatures. The maximum temperature superconductors known to date are extensively used in electronics and operate at -183 °C (while the record of high-temperature superconductivity, proven in 1993, was -138 °C) and, thus, need to be continually cooled. In 2015, an uncommon sulfur hydride (H3S) established a new high-temperature superconductivity record of -70 °C, although at pressures as high as 1,500,000 atm. A team of physicists headed by Professor of Skoltech and Moscow Institute of Physics and Technology (MIPT) Artem R. Oganov projected that much lower pressures of around 50,000 atm can form 14 new uranium hydrides, of which only one, UH3, has been known to date. They include compounds copious in hydrogens, such as UH8 and UH7, that the scientists predicted to be superconducting as well. A number of these compounds were then attained in the experiments carried out by the teams of Professor Alexander Goncharov at the US Carnegie Institution of Washington (USA) and the Institute of Solid State Physics of the Chinese Academy of Sciences. The calculations indicate that the highest-temperature superconductor is UH7 which exhibits superconducting capability at -219 °C — a temperature level that can be increased more by doping. “After H3S was discovered, scientists started eagerly searching for superconducting hydrides in other non-metals, such as selenium, phosphorus, etc. Our study showed that metal hydrides hold as much potential as non-metals in terms of high-temperature superconductivity,” says the chief author of the study Ivan Kruglov, a researcher in Computational Materials Discovery Laboratory at MIPT. The two highlights of our results are that high pressure produces an amazingly rich collection of hydrides, most of which do not fit into classical chemistry, and that these hydrides can actually be obtained and become superconducting at very low pressures, perhaps even at atmospheric pressure.